BW Color Prints is a small local company that has been in business for over 25 years providing the highest customer service in the industry. We are located just off the Washington Beltway and route 4 (Pennsylvania Ave) serving the local Washington DC, Virginia, Maryland and national markets. No job is too small or too big we can handle them all. We can handle your graphic needs from design to finish. We repair a number of new and older exhibits; also we supply a full line of state of the art exhibits and displays for the portable trade show market place. 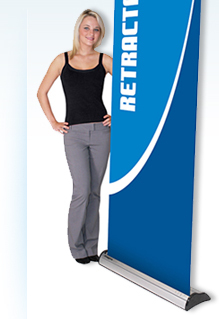 This includes banner stands, literature racks, counters, monitor stands, speakers, audio equipment, and many other items. We are there when you need us. We can find a way to get it done for you.